Many self-published writers have author websites (and if you don’t, you should!) where they actively maintain blogs to help build an audience for their books. But sometimes even the best creative writers will run out of ideas for their blogs. Self-Publishing Relief to the rescue! 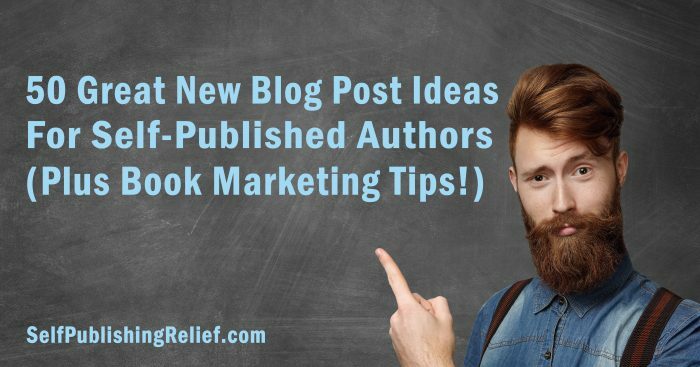 Check out our list of blog post ideas for marketing and promoting your books! Television shows you are currently binge watching. What’s got you hooked? Looking for more great ideas? Check out our other list of blog post ideas for authors and creative writers. Question: Do you believe that blogging is a good use of your time for book marketing and promotion?